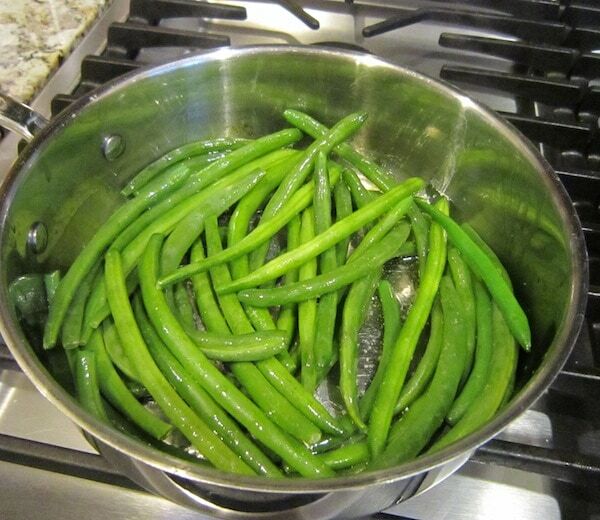 Heat the green beans in olive oil. Some people like the taste of raw veggies – I don’t. So I cooked them for a few minutes. Then chop them up and let cool. 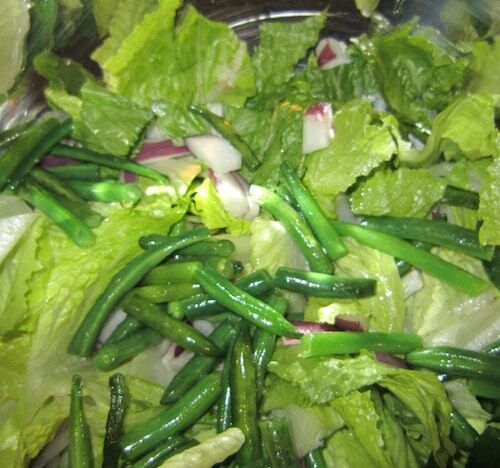 Chop up the lettuce, dice the onion and add the string beans to a large bowl. 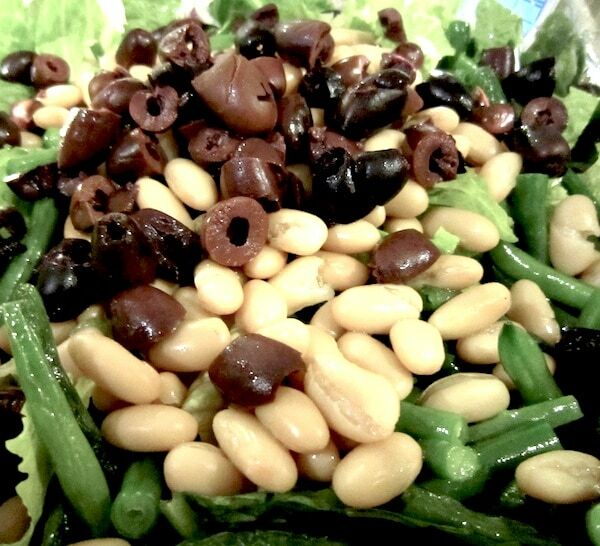 Drain the beans and the olives and add to the salad. Lightly toss with oil and vinegar. Salt and pepper to taste then top with feta cheese. Serve with a piece of bread and you are good to go!!! I didn’t have any tomatoes – but this would have been a great addition! Printed this out. It looks divine. 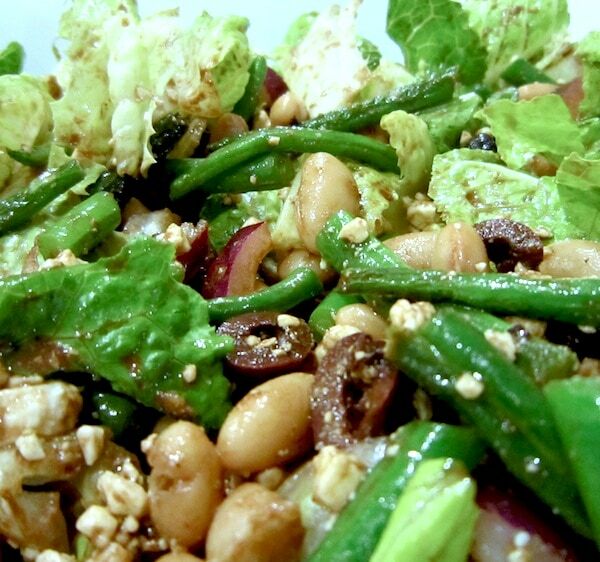 I love making salads, this one is on my to make next list!